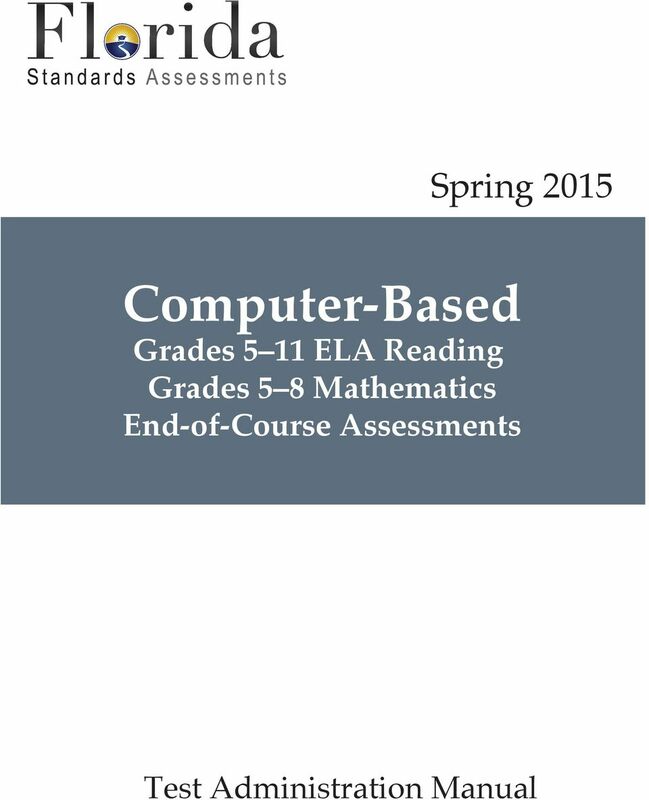 Download "Computer-Based Grades 5 11 ELA Reading Grades 5 8 Mathematics End-of-Course Assessments"
FSA and FCAT 2.0/NGSSS Assessment Accommodations Frequently Asked Questions (FAQ) Accommodations for Students with Disabilities General Information 1. 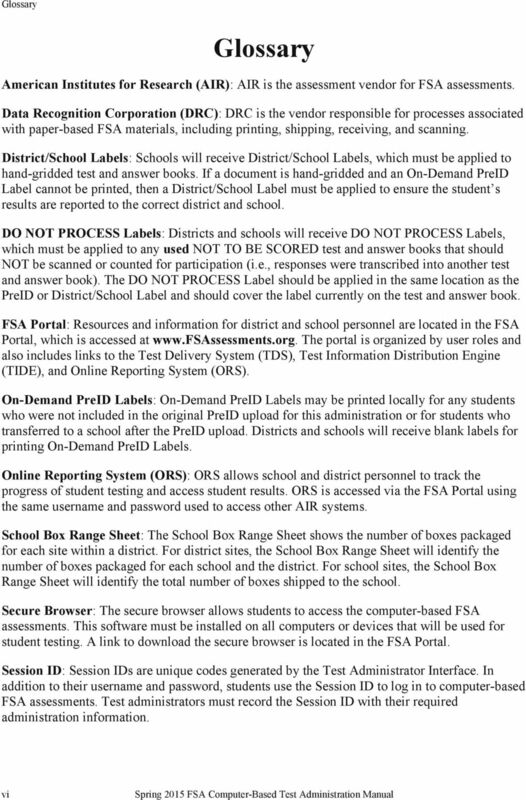 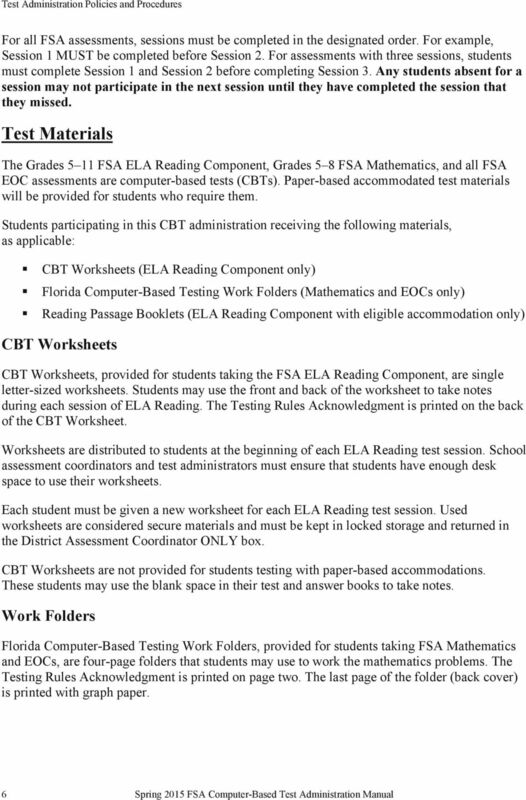 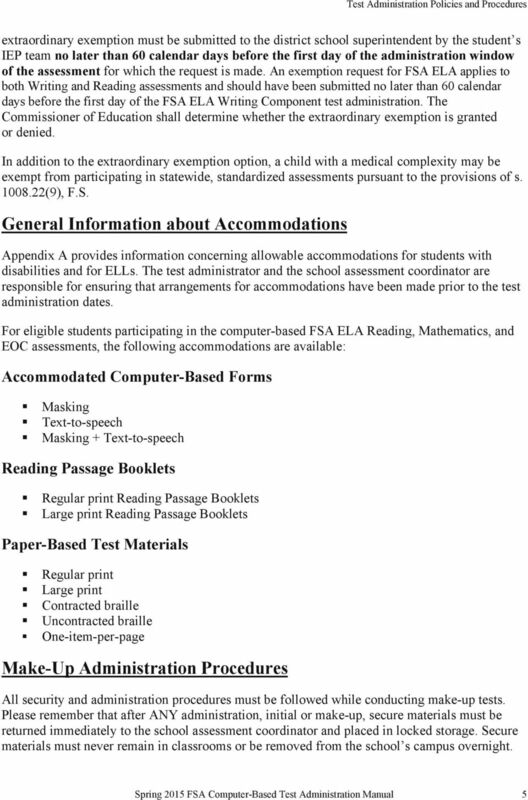 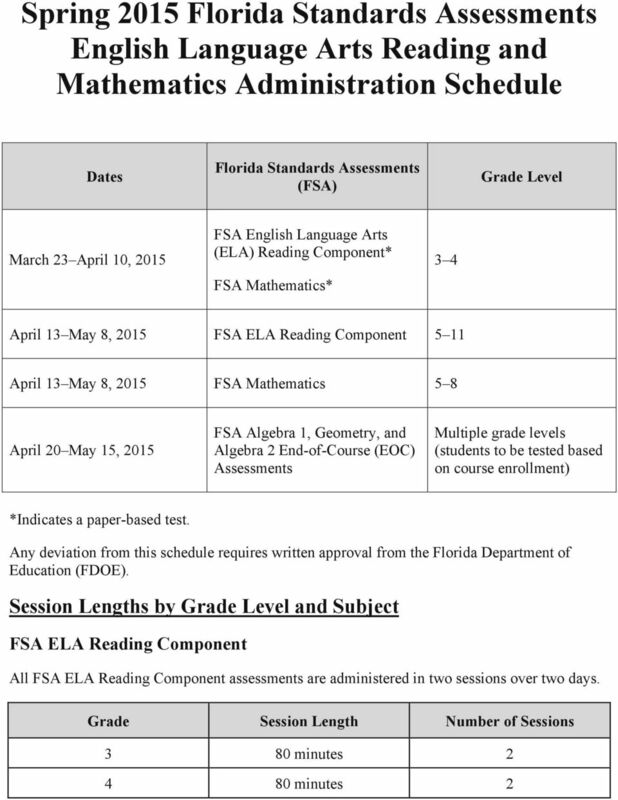 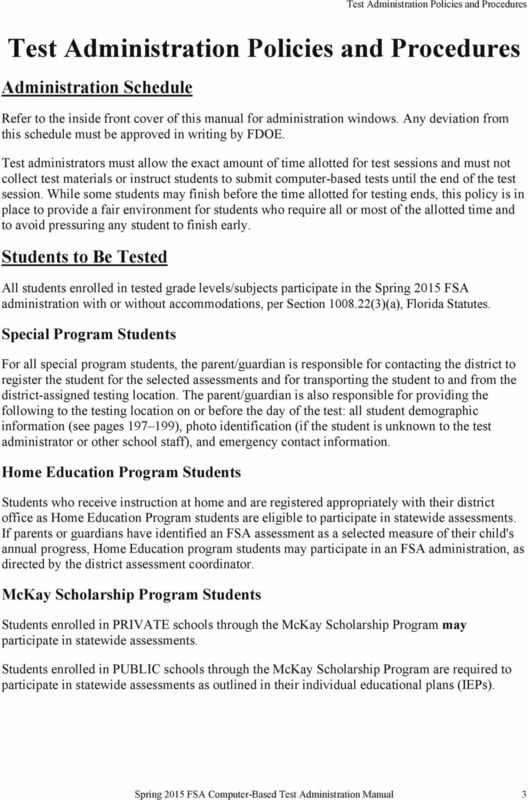 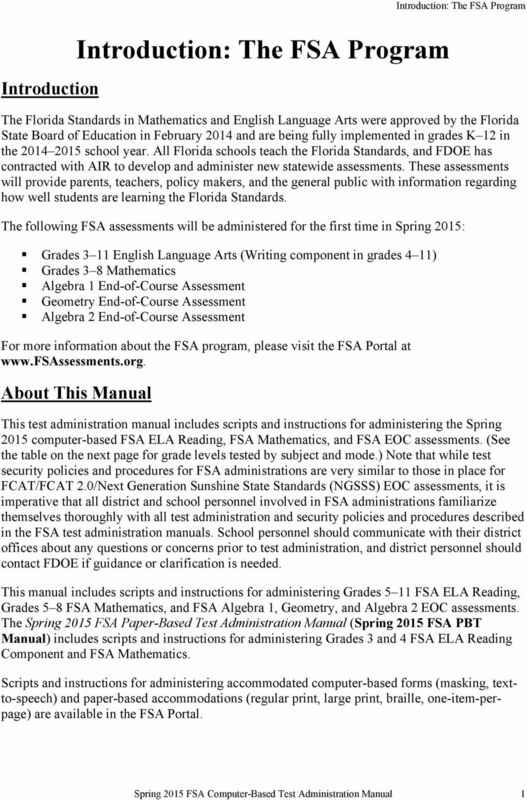 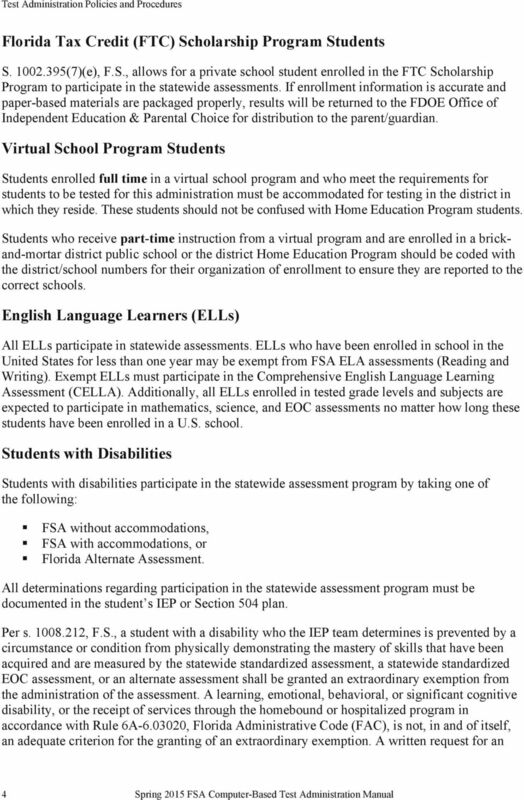 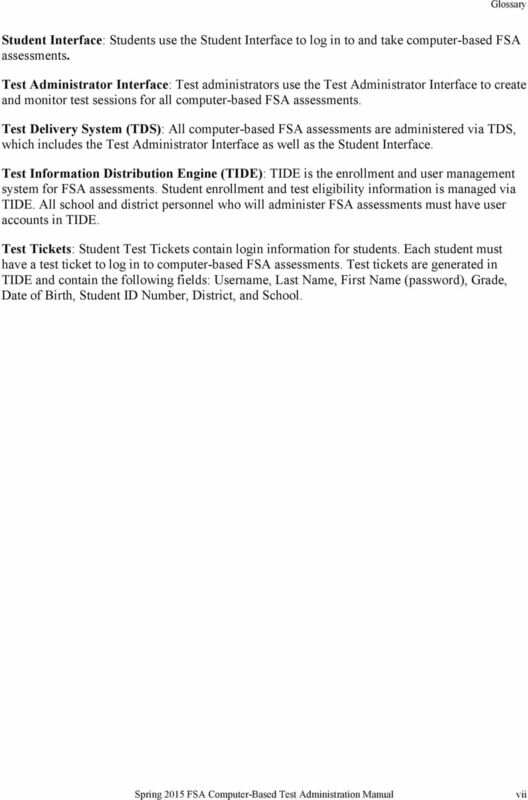 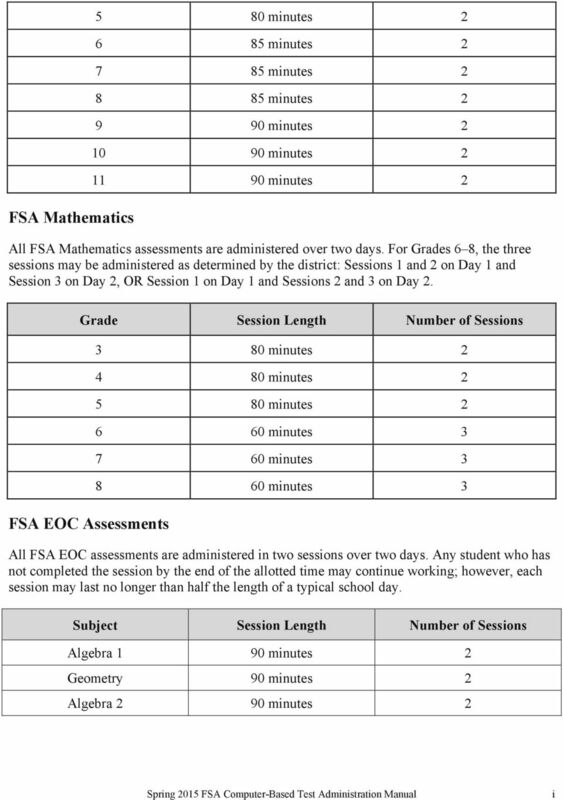 Which assessments will be administered in 2015-2016? 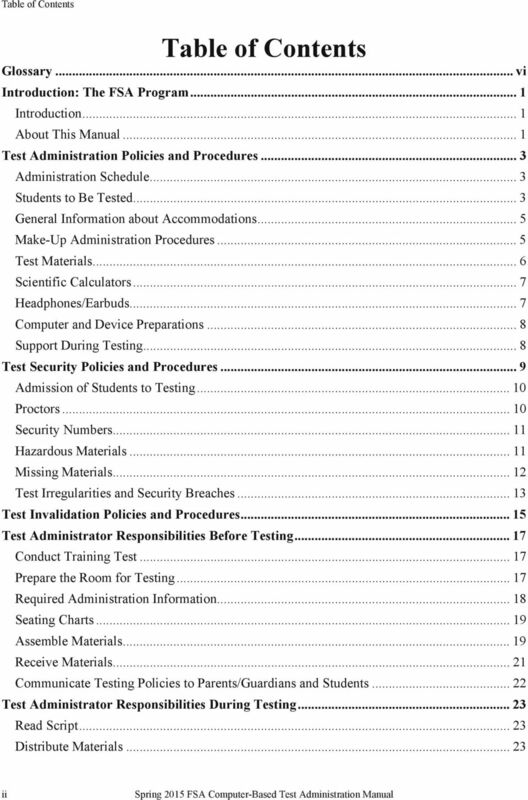 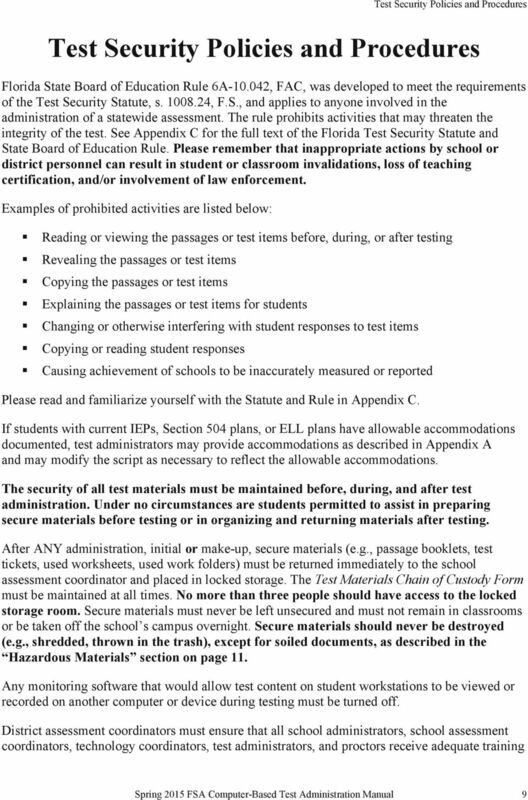 Professional Testing Practices for Educators. 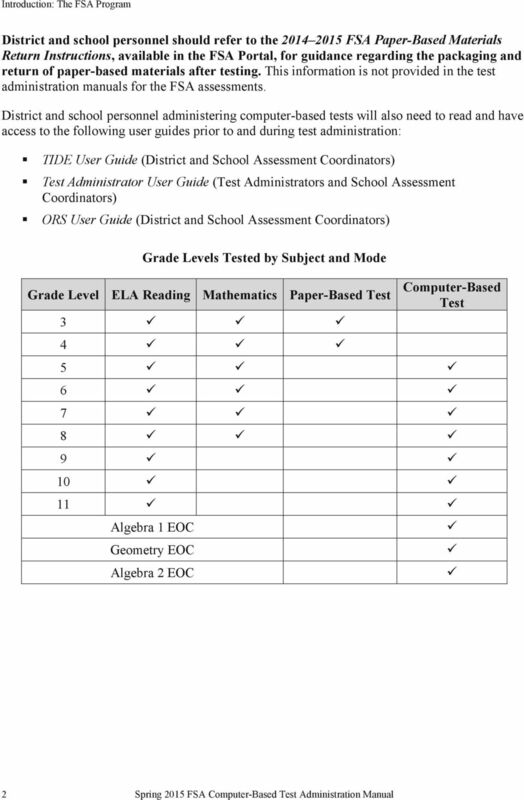 Illinois Standards Achievement Test (ISAT) Spring Illinois State Board of Education. 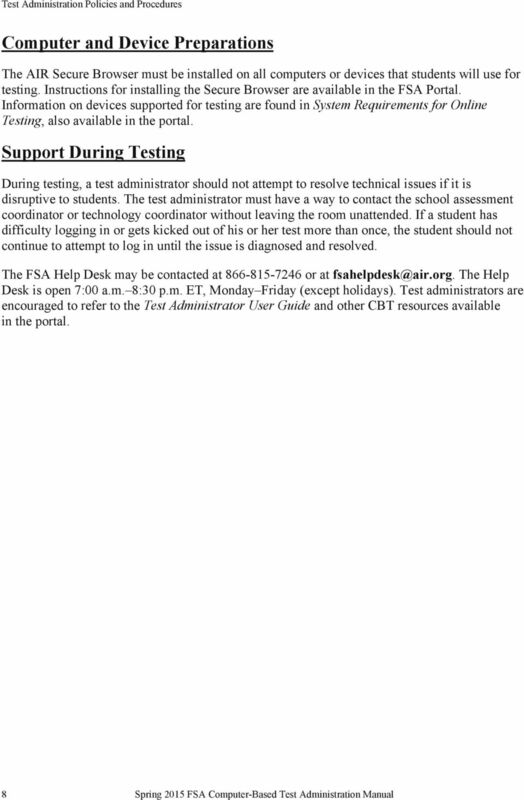 This document will provide you answers to all of your questions regarding setting up and troubleshooting issues with your Campus Portal Login Account. 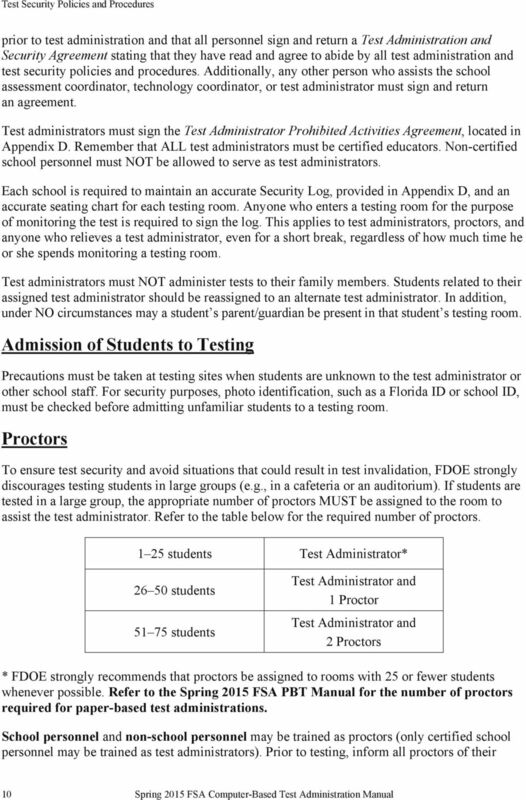 Please see the list of frequently questions below. 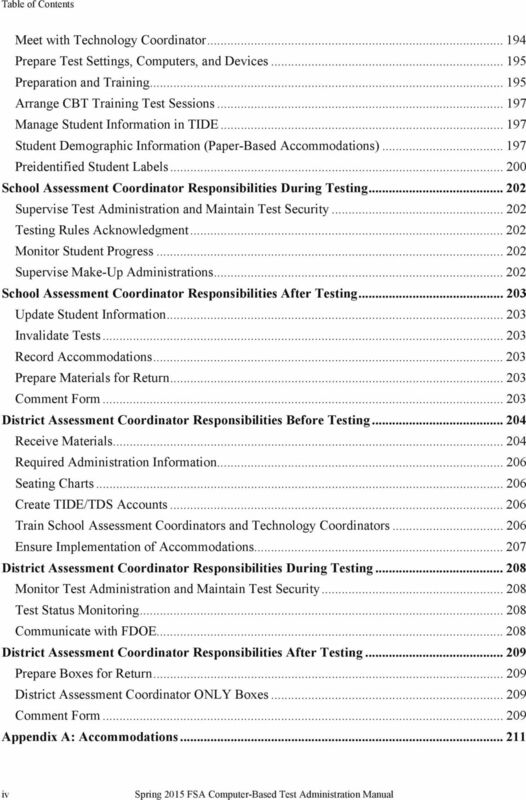 THE STATE EDUCATION DEPARTMENT / THE UNIVERSITY OF THE STATE OF NEW YORK / ALBANY, NY 12234 Information and Reporting Services Policy and Strategic Planning, P-16 What Data Are Included in This Report? 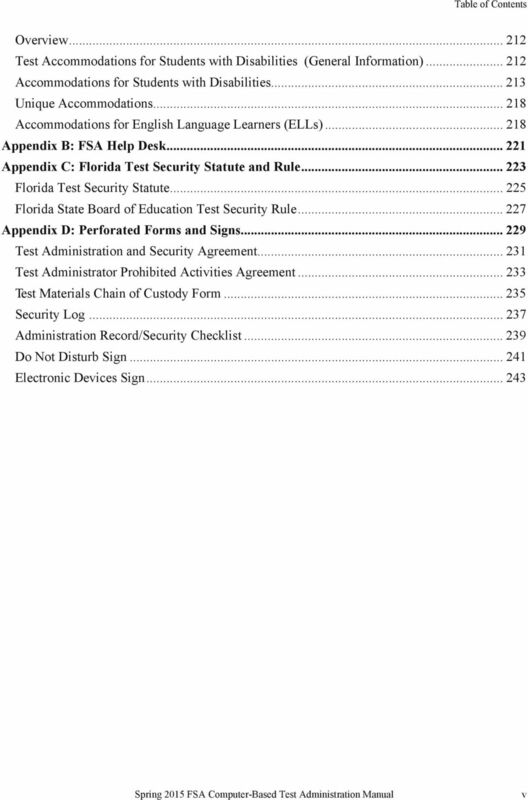 Written Information Security Plan (WISP) for. 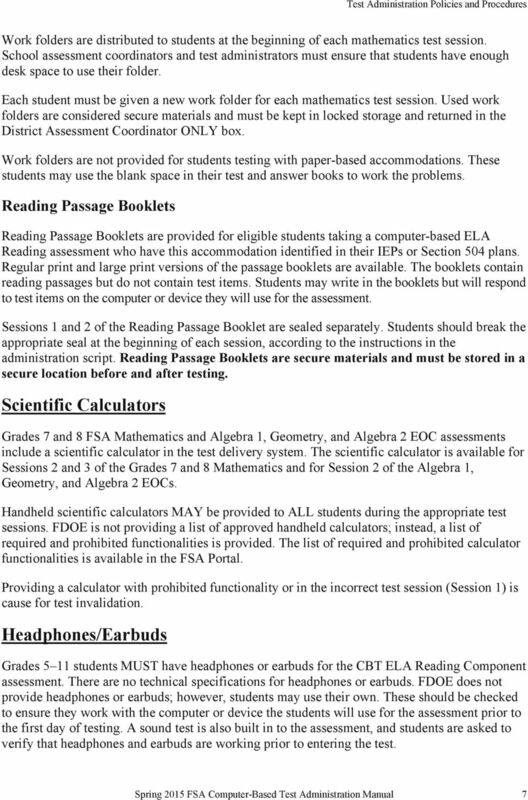 HR Knowledge, Inc. 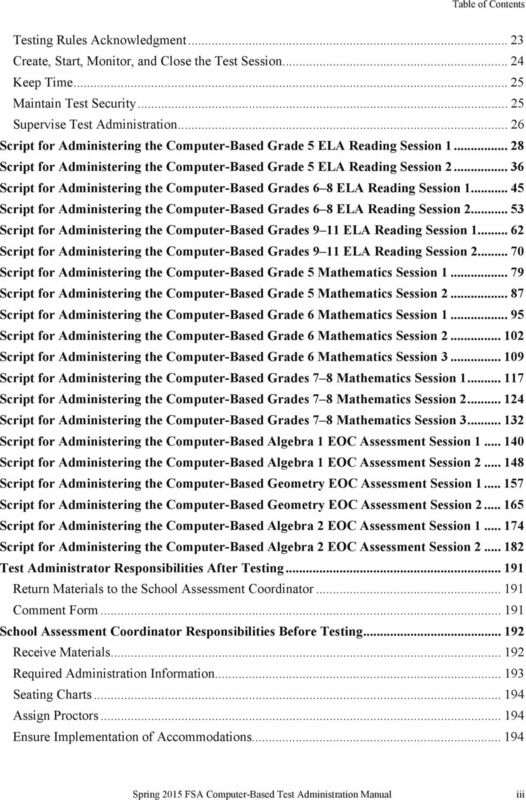 This document has been approved for general distribution.